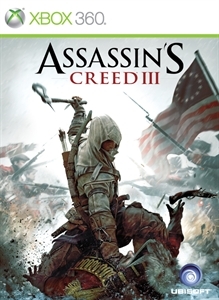 Assassin’s Creed® III is the opening chapter of two new stories: one of Connor, the newest Assassin, and one of a new nation full of hope, both in an epic fight for land and freedom. Set during the American Revolution, you’ll experience both the external battles of a raging war as well as Connor’s internal struggle of allegiance. Follow Connor on this epic adventure as he leaves home to train with a fierce group of Assassins in hopes of protecting his people. In this gameplay world premiere, travel through the early city of Boston and battle man and beast alike as you explore the vast open frontier, witnessing the intensity and excitement of the Battle of Bunker Hill – one of the most famous battles of all time.